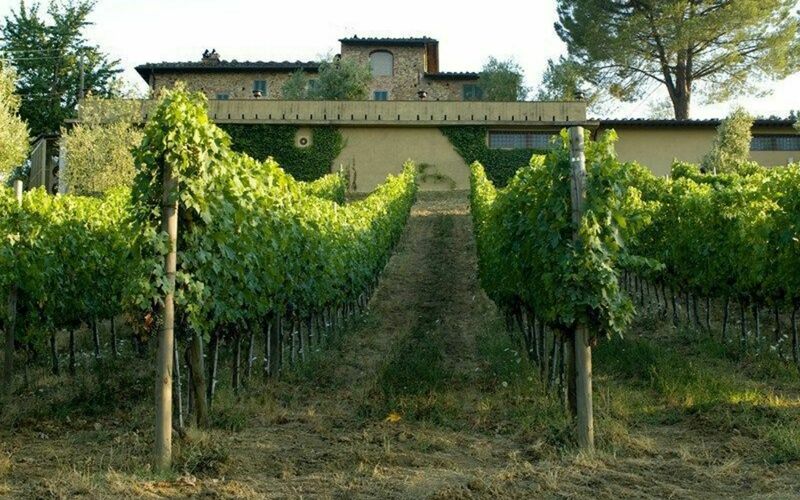 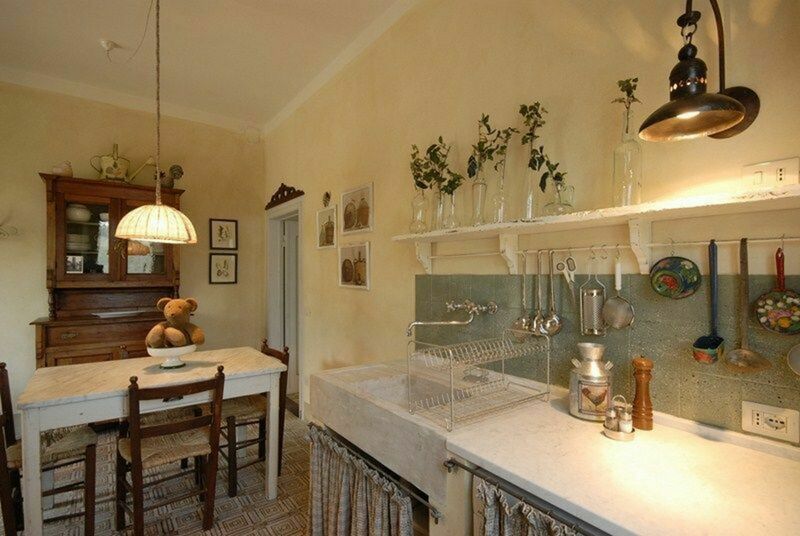 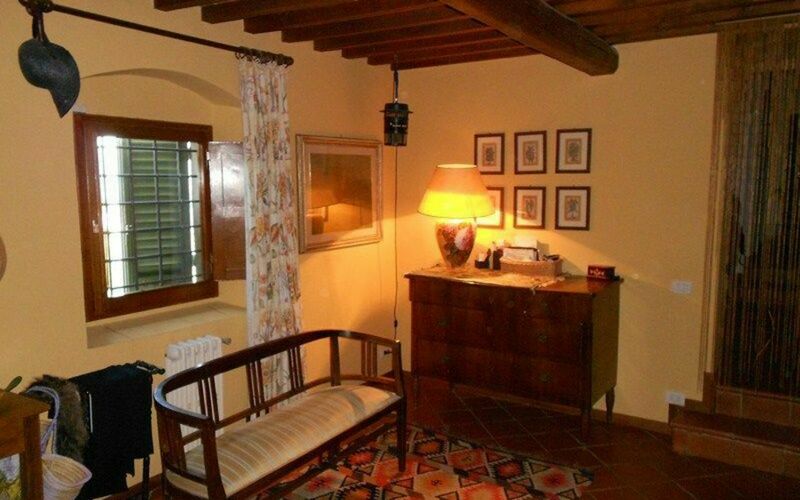 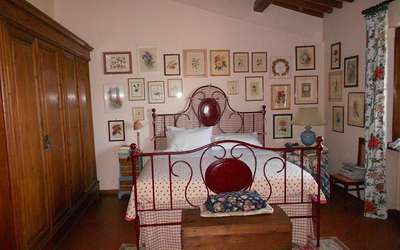 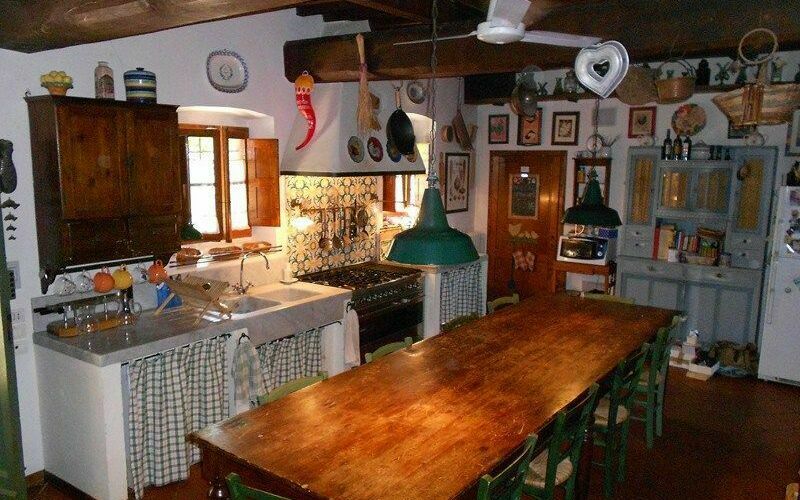 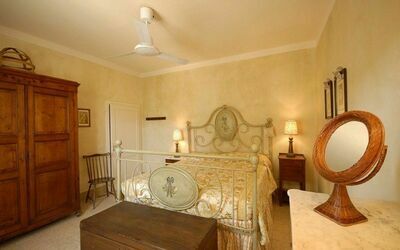 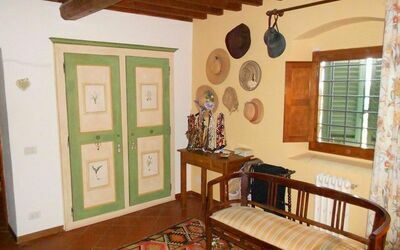 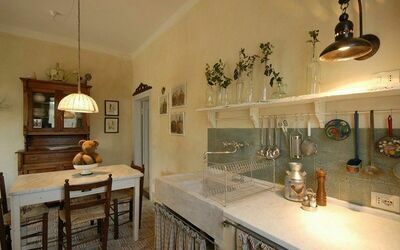 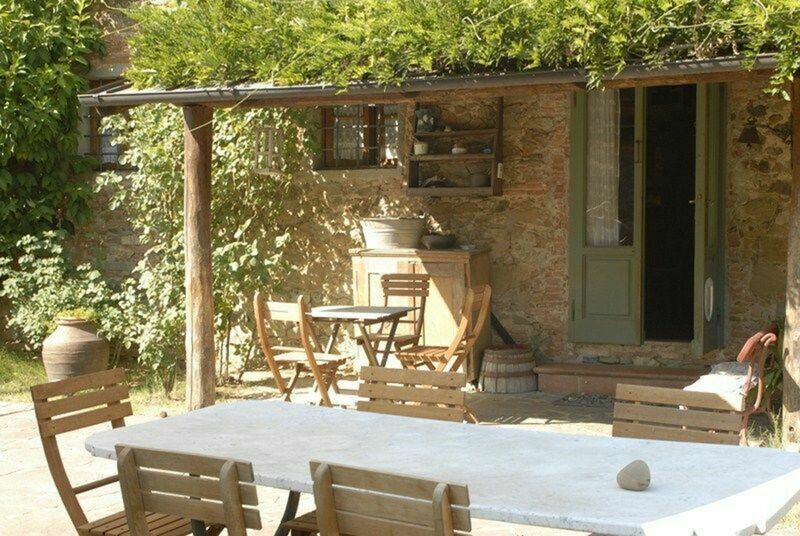 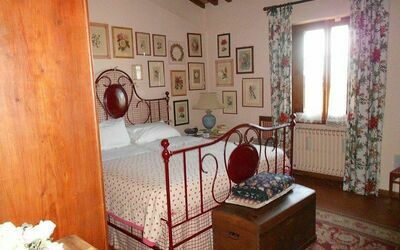 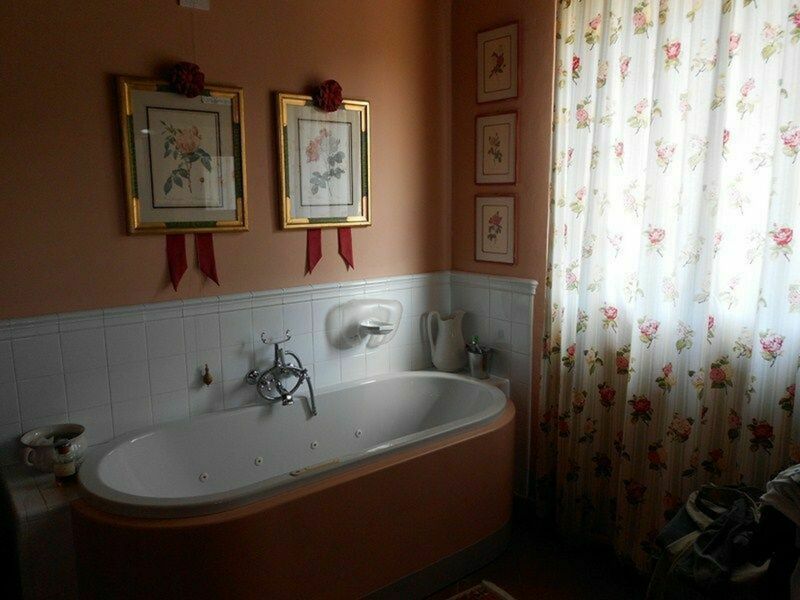 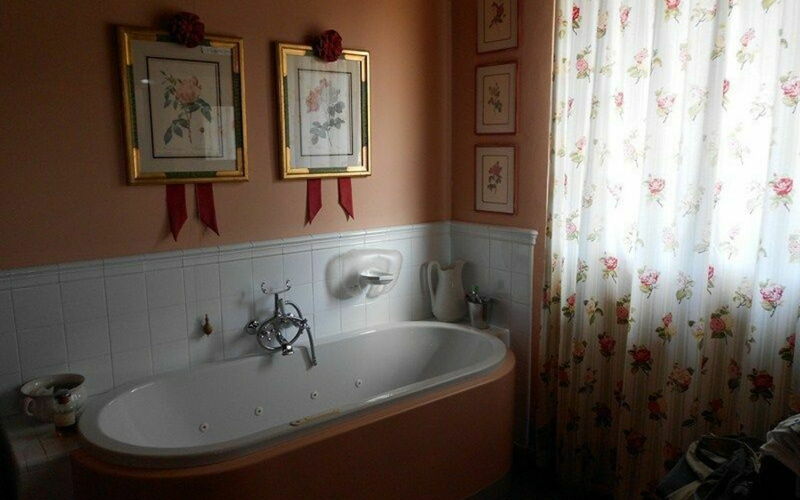 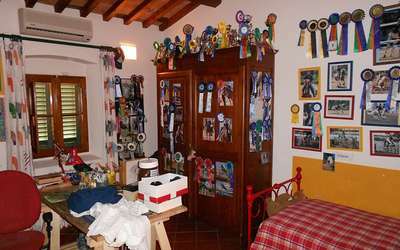 The villa is locatedabout 7 km from the exit of Pistoia - and is part of a farm producing wine and olive oil. 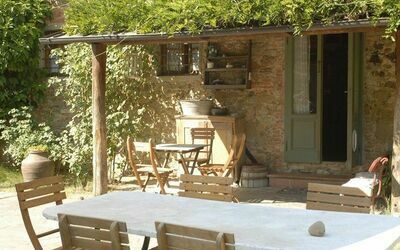 The farm has 3 properties - a house with 4 apartments, 1 small cottage on the lake and this villa- all guest use the pool above the villa, together, the other guests have a separate entrance, so they do not disturb the guests of the villa. 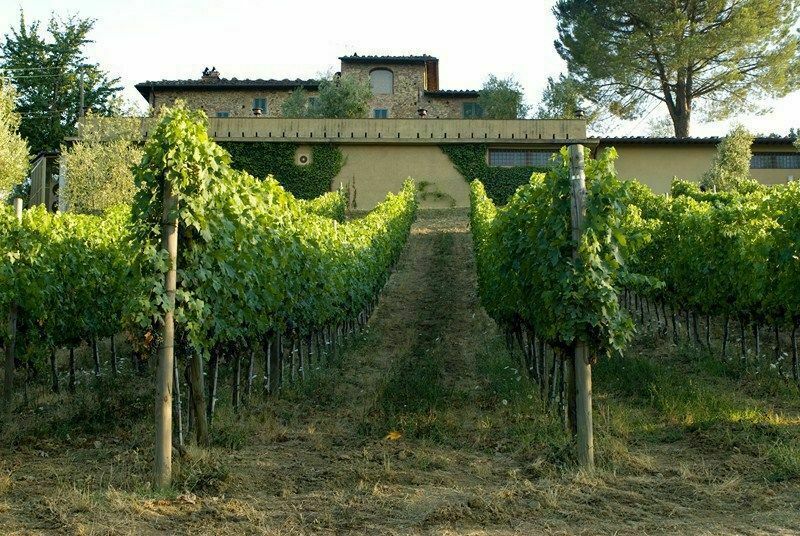 The whole farm has about 20 hectares of vineyards and olive trees line the dirt road. 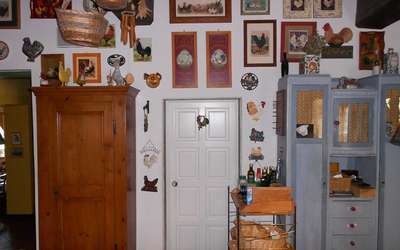 Village about 1.5km. Pistoia is also highly recommended as a cultural city, not so known like Florence – but very rich on historical architecture. 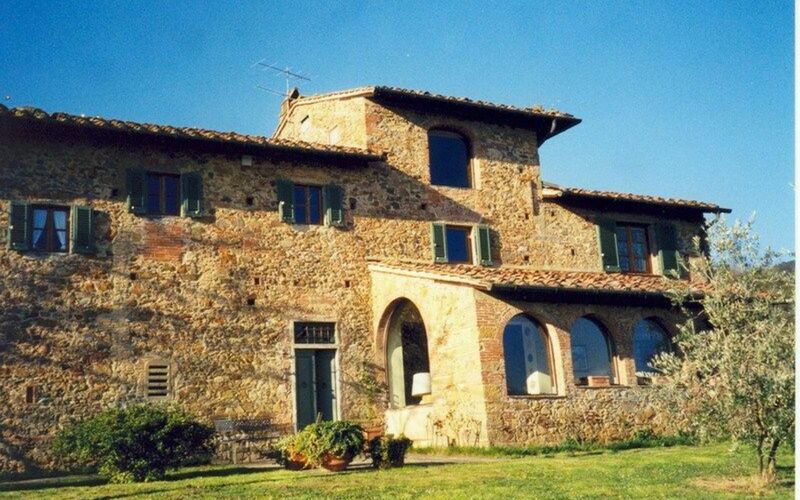 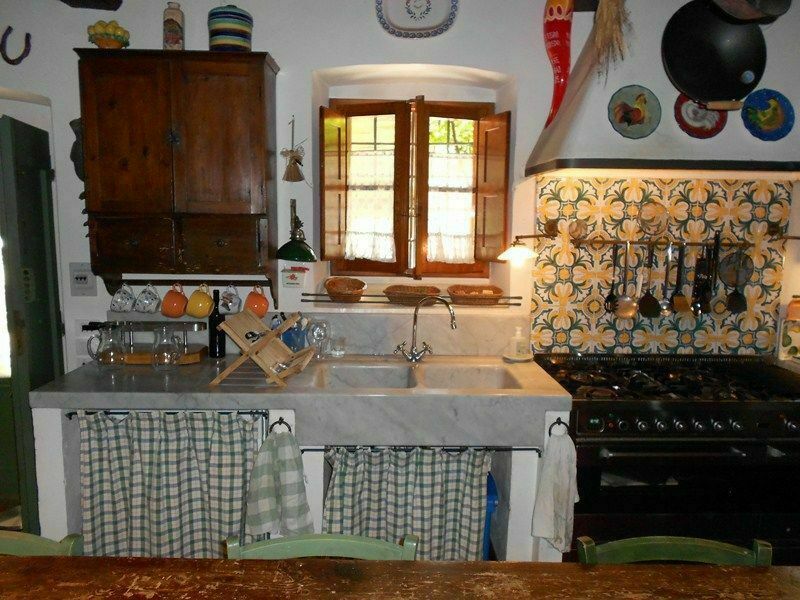 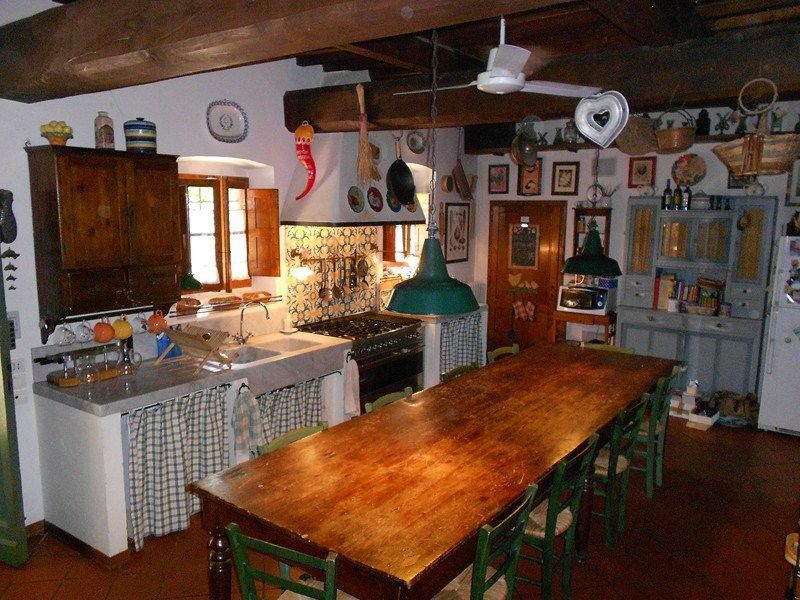 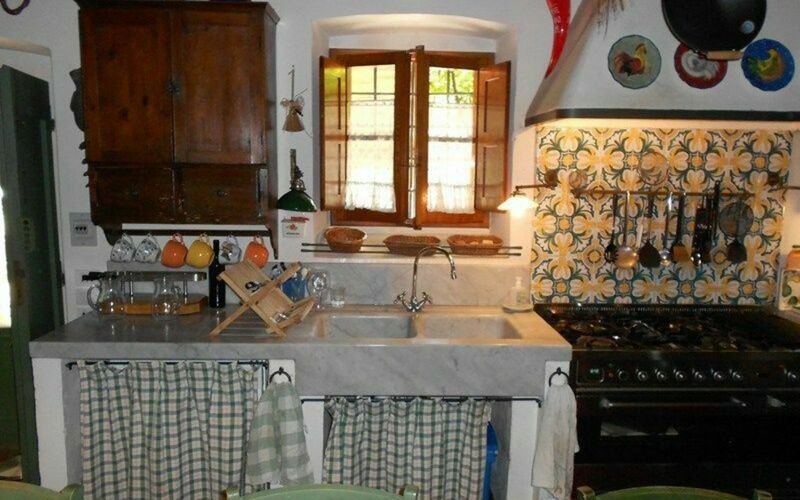 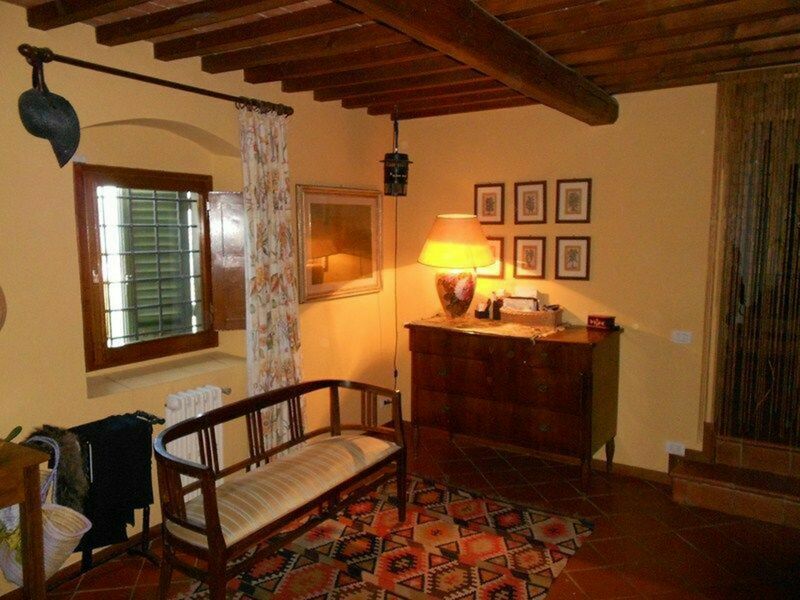 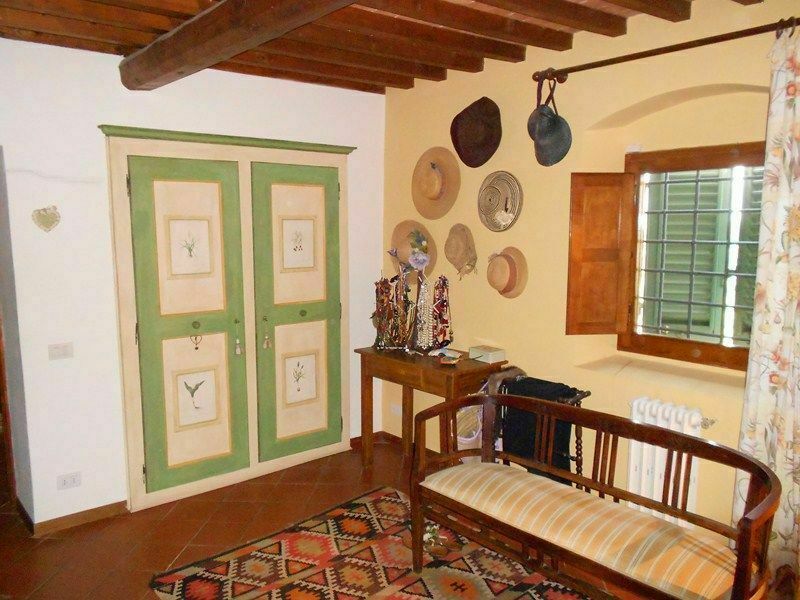 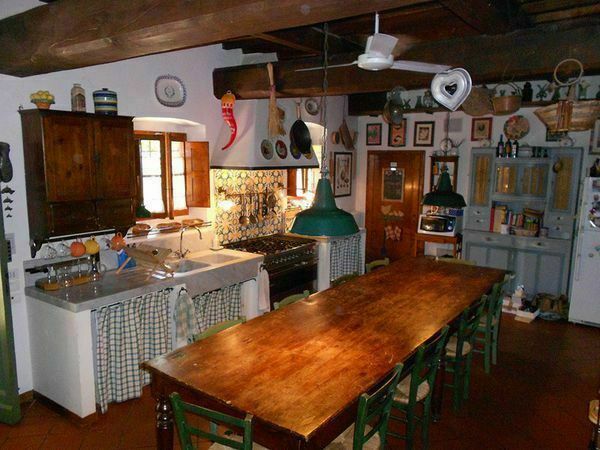 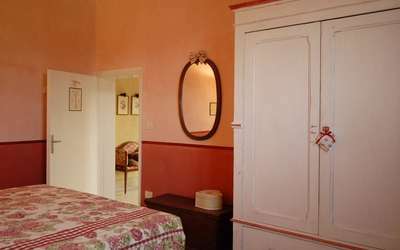 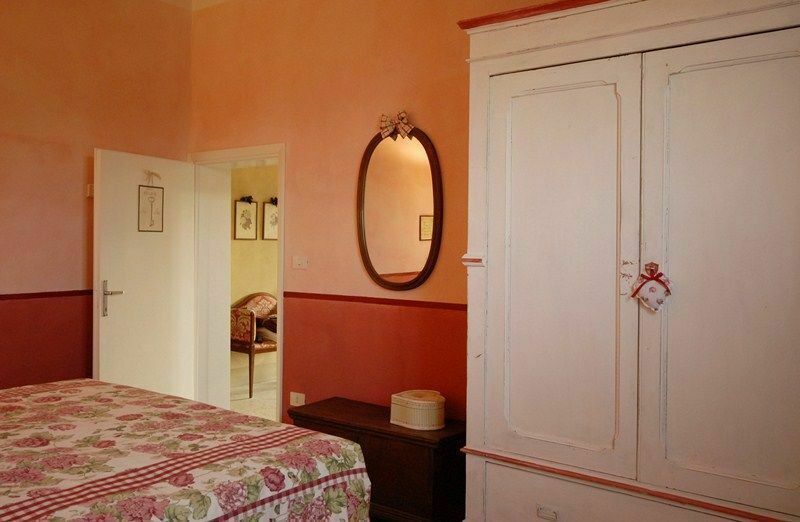 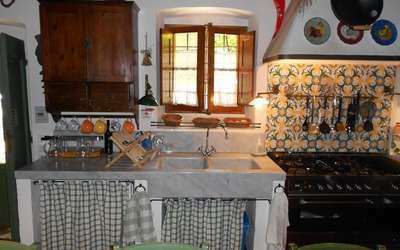 Villa: the stone house dating from the 17th Century and has been carefully restored. Ground floor: huge kitchen in the old style with everything you need today - in the next room laundry (dryer, washing machine) next to toilet, a few steps sideways a niche with open fireplace and TV corner, later with a glazed veranda with a great view, living room fireplace , the back office is used as a store room. 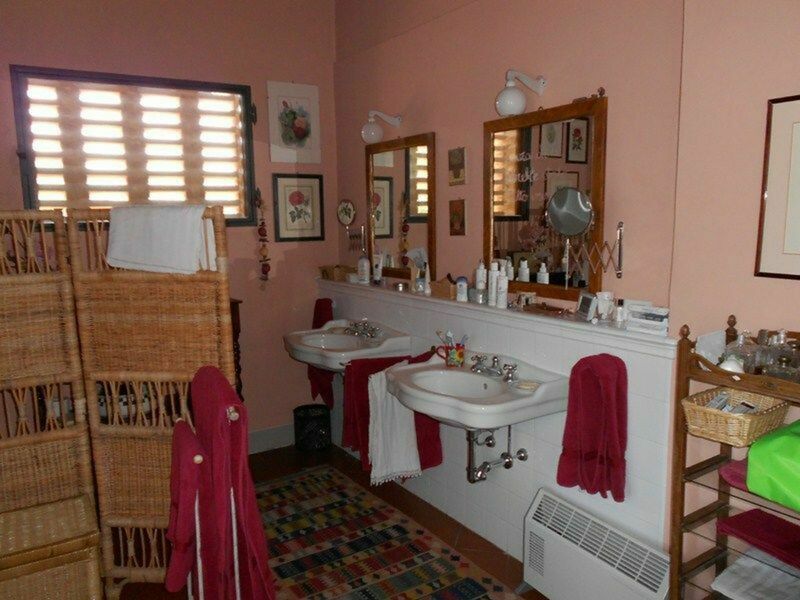 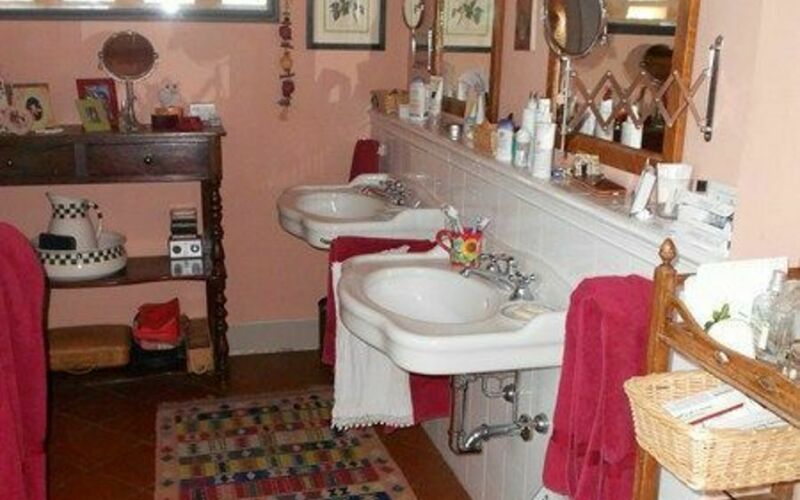 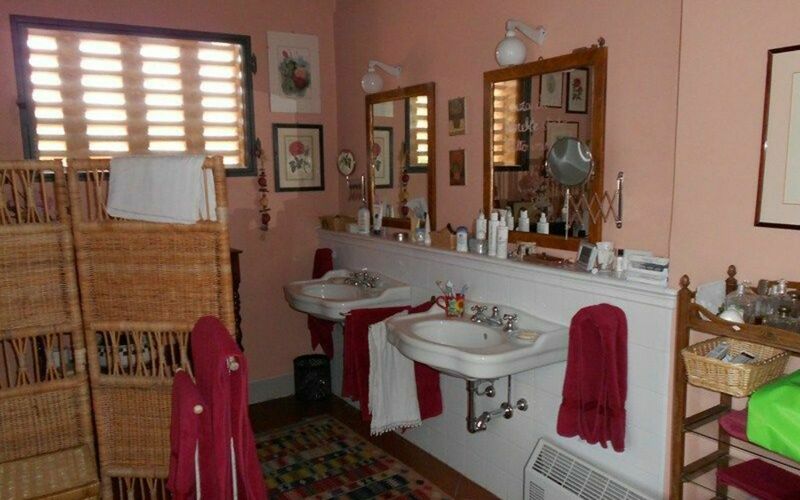 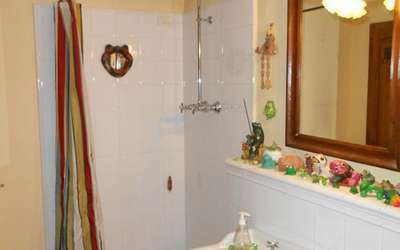 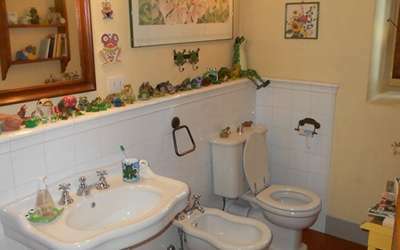 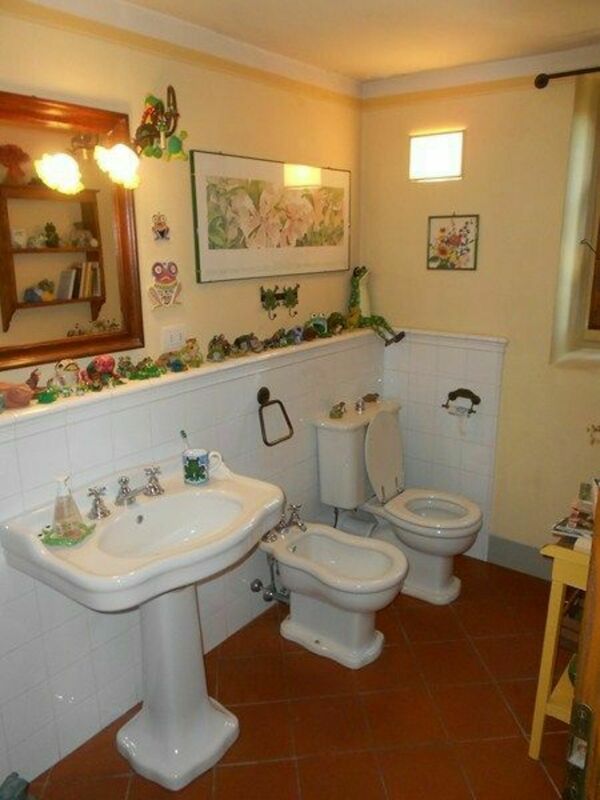 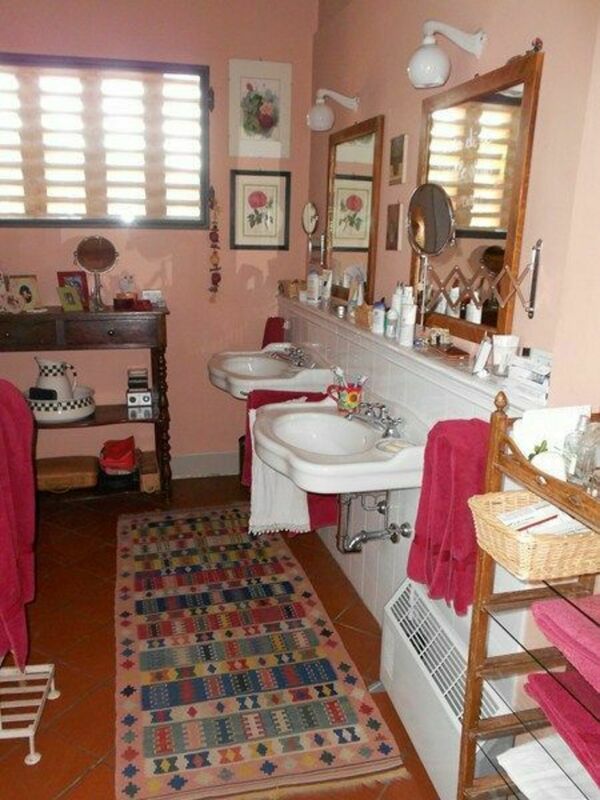 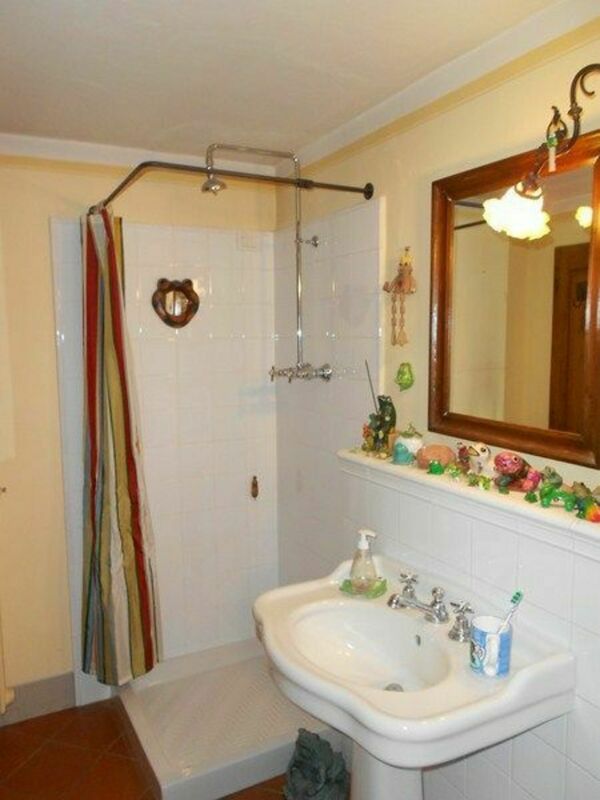 1 bathroom on the mezzanine. 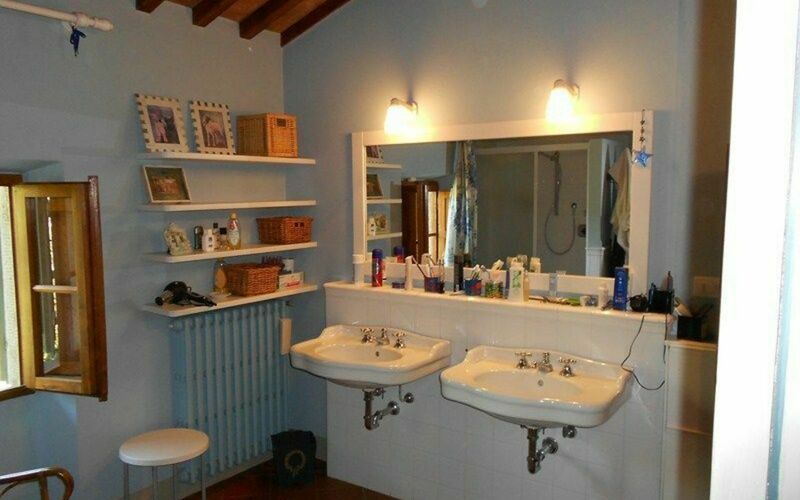 First Floor: 2 double rooms, 3 single bedrooms, 3 bathrooms. 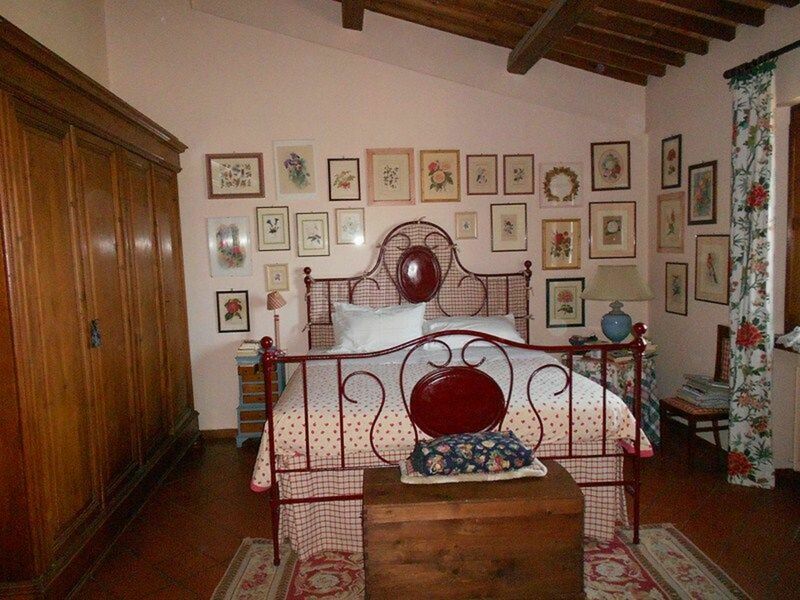 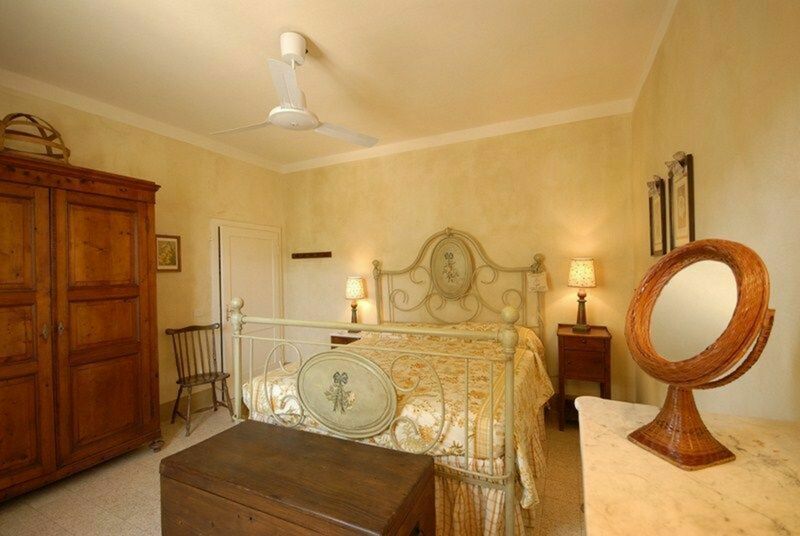 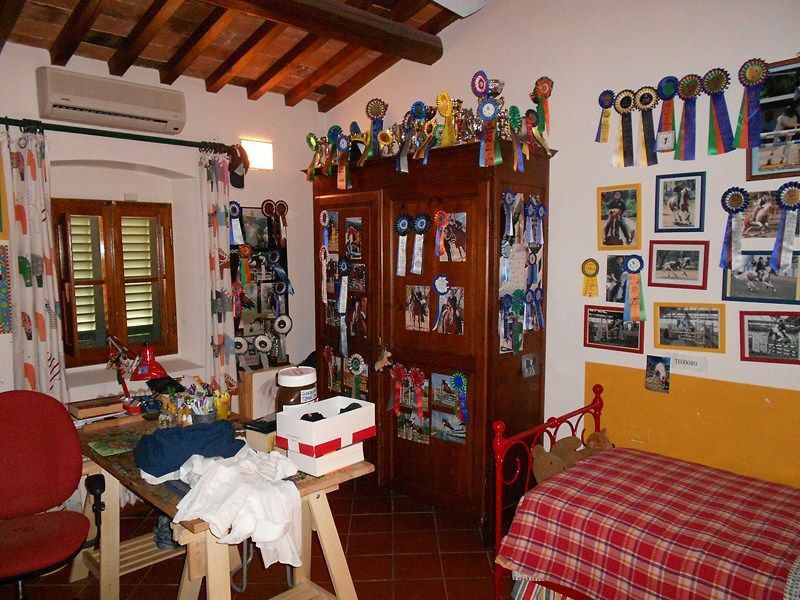 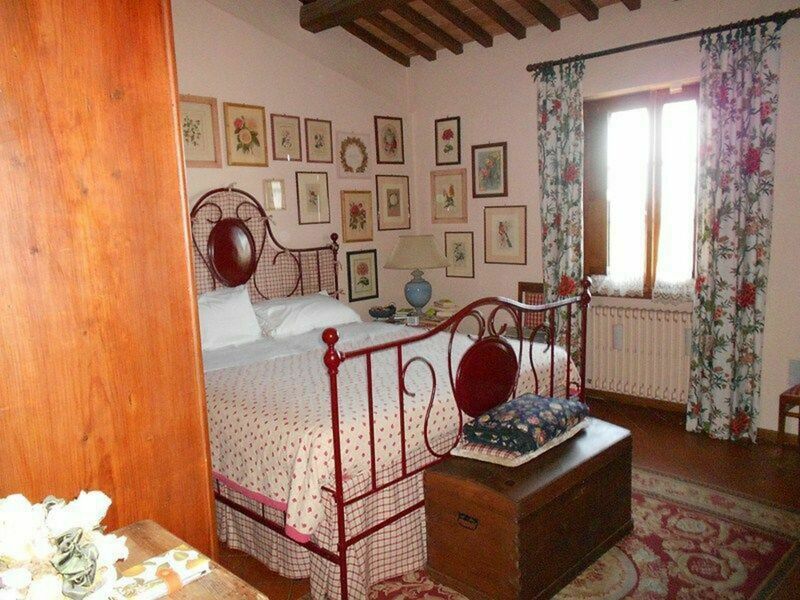 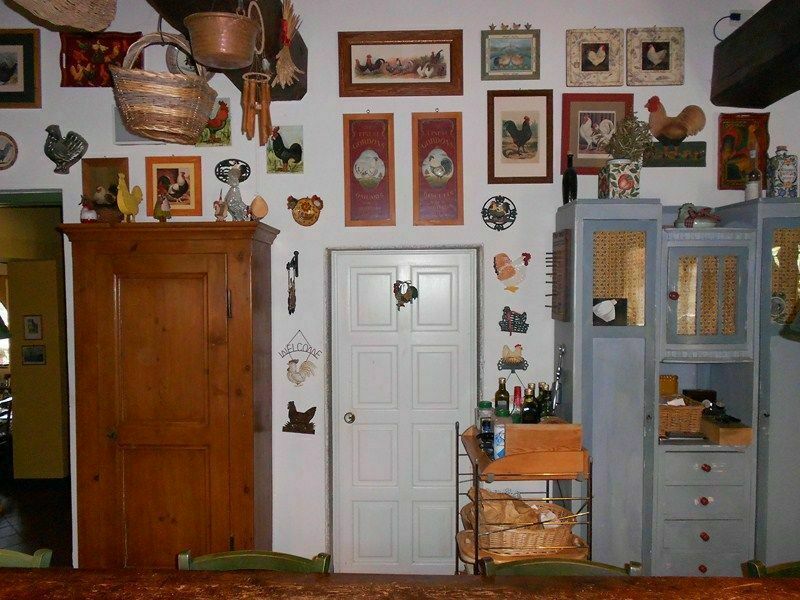 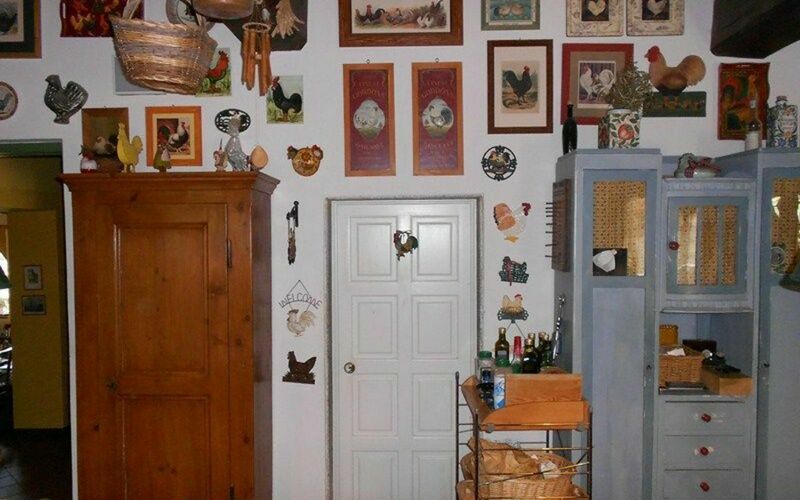 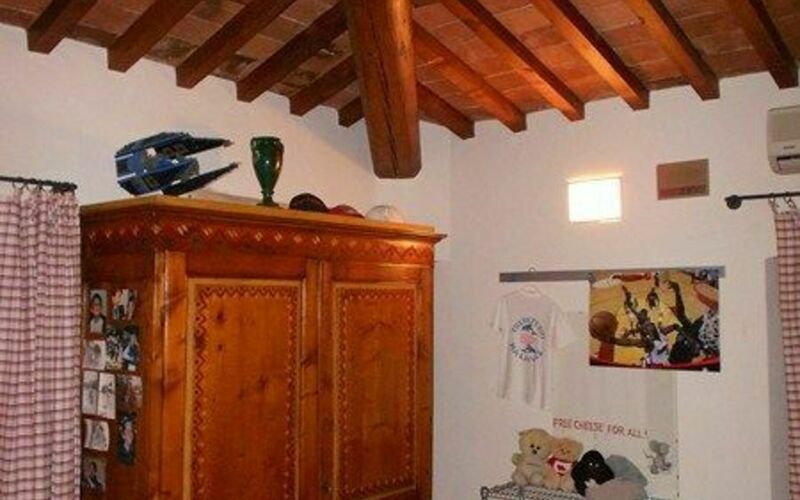 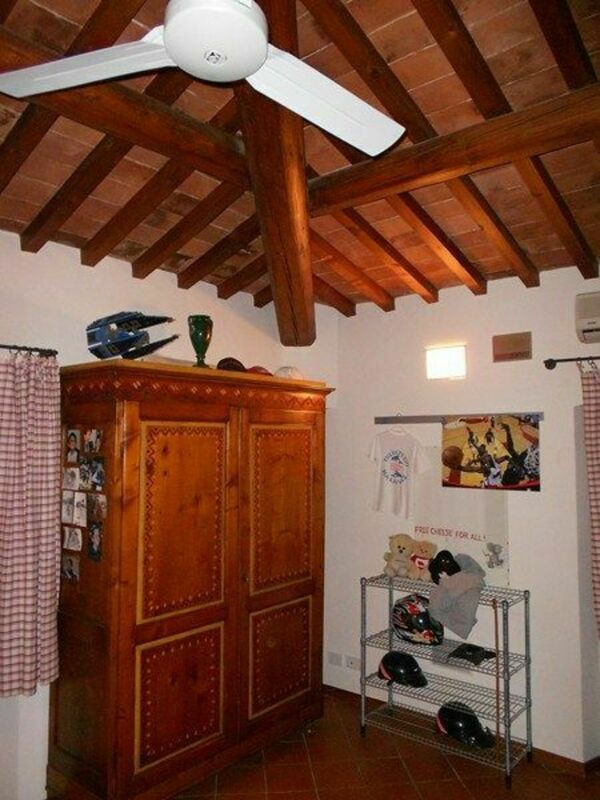 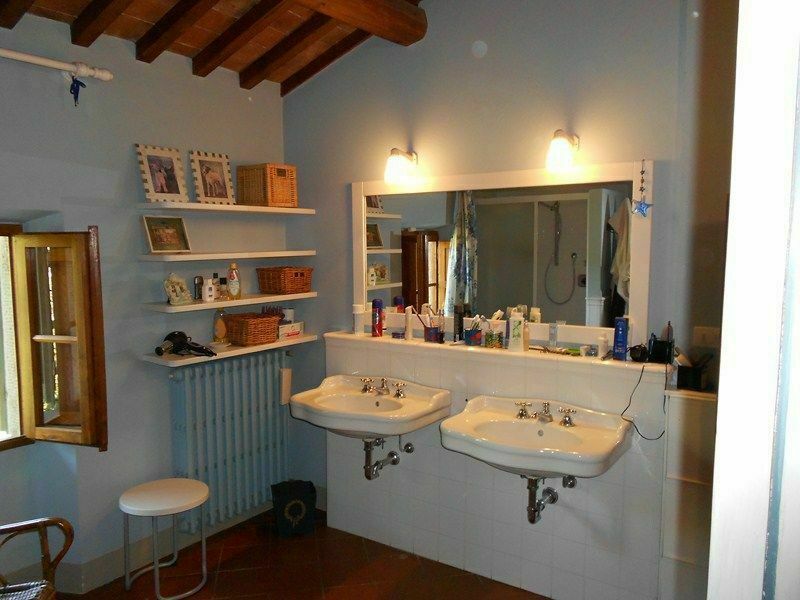 Attic in a space with exclusive panoramic and a double bed.